Over the past year, journals enrolled in the Your Paper, Your Way pilot have been allowing their authors to do just that – submit their papers without strict formatting or referencing requirements.Your Paper, Your Waywas the brainchild of Sir Kelvin Davies, PhD,DSc, Editor-in-Chief of Free Radical Biology & Medicine.He introduced the concept in mid-2011 and, in 2012, we extended the option to a further 41 journals across all disciplines. Their experiences have proved so encouraging that, as of this July, all Elsevier journals will have the opportunity to join this exciting project. Davies highlighted the benefits of Your Paper, Your Way (YPYW) in both a video editorial (above) and a post on the Editors’ Update Short Communications board back in March 2012. He explained: “Although standard formats do make it just that little bit easier for editors and reviewers to see everything in the correct style, the reality is that the advantage is very small, and we should really be focusing on the quality of science and not the format. For authors the difference is very significant… an easier submission process not only saves time and effort but may also allow authors to achieve faster publication speeds.” That easier submission process could also help to alleviate one of authors’ key concerns - when Elsevier’s Research & Academic Relations team surveyed researchers about what they find most frustrating, nearly one in three chose ‘preparing manuscripts’. 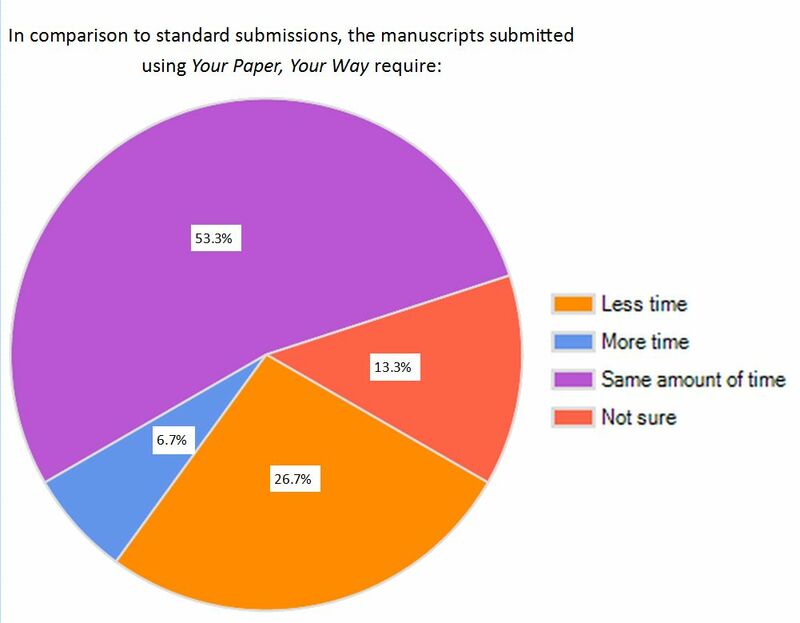 80% of editors surveyed found that YPYW manuscripts require less or the same amount of time as standard submissions. 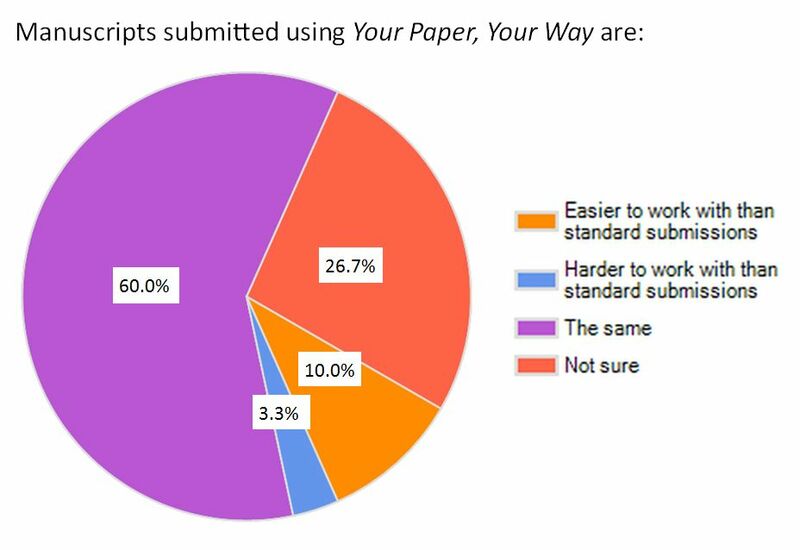 70% of editors surveyed found that YPYW manuscripts are either the same or easier to work with than standard submissions. Any important ethical requirements, e.g. the Conflict of Interest declaration, are also still mandatory. As long as the references have all the necessary information, the author need not format according to a specific style because Elsevier will take care of that after acceptance. 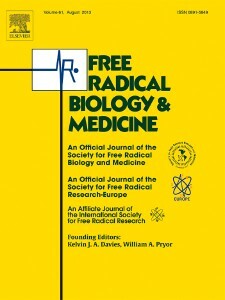 Reflecting on Free Radical Biology & Medicine’s experiences since they launched the pilot in July 2011, Davies said his journal had not received any complaints from reviewers, and many authors had sent letters of thanks and praise for the system. From December 2012 to date, the 42 pilot journals have received around 51.5% of submissions via the Your Paper, Your Way route. We expect this figure to increase as more authors become aware of the service. Authors who chose the Your Paper, Your Way submission route commented: “We chose to spend time on content instead of the ‘correct format’." “It was simpler and faster than (the) traditional one. I think it is a good way to speed the process.” “…time consuming formatting work was not undertaken unnecessarily.” “I didn't have to waste time with formatting before being sure about the acceptance.” We also asked authors to let us know which submission option they intended to use in the future - 80% said they will either always use, or mostly use, YPYW when it is available. The pilot data suggests that Your Paper, Your Way is an author-friendly initiative that simplifies researchers’ lives. However, it is also important to ensure that the resulting papers do not complicate the review process. 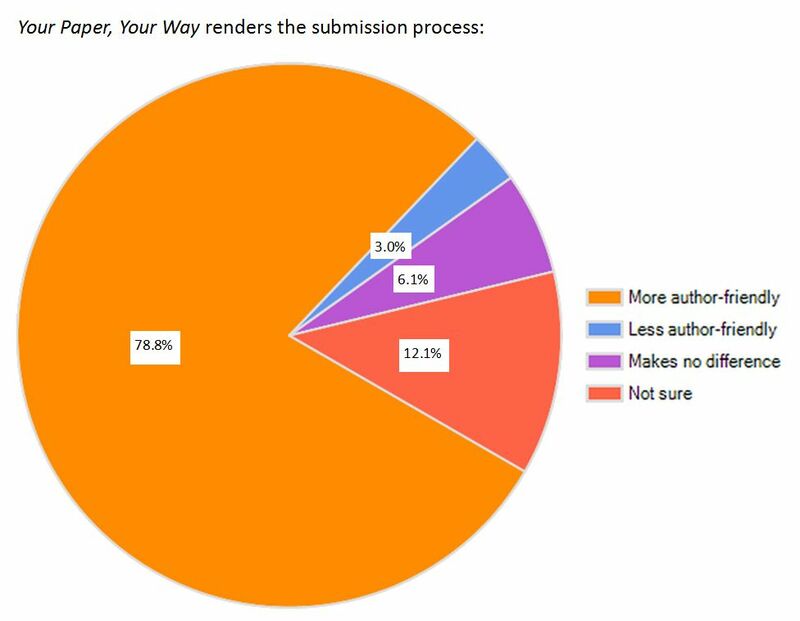 To evaluate the impact on reviewers, 165 responses from the Reviewer Feedback Programme (RFP) were analysed: 77 of these responses related to a YPYW submission, the remaining 88 to a traditional submission. There wereno significant differences in reviewer satisfaction based on any related criteria: "The review format and structure for review submission was helpful"; "I am very satisfied overall with my experience of reviewing"; "I could read the manuscript and figures clearly with no technical problems". Based on the positive researcher feedback we have received, invitations are currently being sent to all journals to participate in Your Paper, Your Way. If you haven’t already heard from your Publisher, they will be in contact shortly to discuss this further. 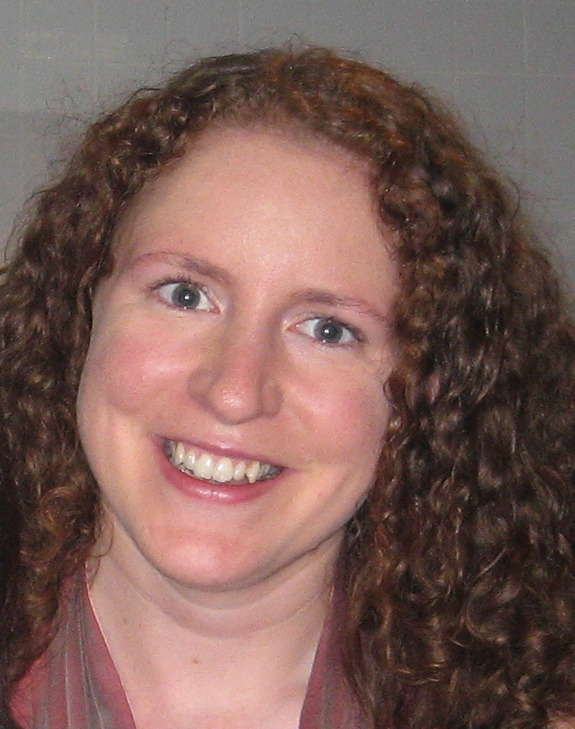 Following graduation from University College Galway, Ireland, Catriona joined Elsevier as a Journal Manager in 1999. She later had the opportunity to support and train hundreds of editors during the introduction of the Elsevier Editorial System (EES). Since then, she has worked in various management roles in STM Journals’ Publishing and is now responsible for its author-centricity and publishing ethics programs. Daniel joined Elsevier in January, working on web-driven, content innovation projects alongside a small team based in Amsterdam, New York and Dayton, Ohio. Daniel has a publishing degree and has publishing project management experience mainly centered around science publishing within the educational, postgraduate and professional arenas. Prior to Elsevier, Daniel worked at John Wiley and Sons Ltd and Pearson Education UK. This is a non-issue for us, since we only require our standard reference format upon revision. As an editor, reviewer and author, I've often wondered why we get a manuscript ready for production on first submission. I'd really like to have all the figures and tables placed in context. On acceptance authors can submit again in a format suitable for production. Fantastic! This will facilitate paper submission. What about figures and tables. Are separate files still needed or can these be embedded in the text? Dear Dr Oyama, Thanks for your kind comments. Figures and tables can be embedded within the main file for new submissions, as long as the resolution is suitable for peer review. As well as being easier for authors, many reviewers seem to prefer to have the figures and tables as close to the related text as possible. Later at revision, separate files may still be required to ensure that figures are sufficiently high resolution. This is a real reinvention of the wheel. According to my understanding of my duties as editor-in-chief (journal FLORA, ca. 360 submissions/100 published papers per year) I am considering it my duty as responsible editor-in-chief, to check painstakingly every paper for language, style and uniformity of references, and to harmonize these latter if necessary, prior to the final acceptance of the respective paper. As consequence, deviations of authors from the normal reference style generously can be overlooked and reviewers must not invest time checking for such formal things, whereas, based on my practice from meanwhile about 1000 papers edited by this way, harmonization of the references can be done quite routinely. Actually, it has to be expected that any reliable editor-in-chief follows such a practice. What at all, shall be the epoch-making news of the here described "new" approach? You are right in pointing out that the initiative may already be standard practice for quite a few editors. At the same time, many authors still feel the obligation to prepare manuscripts exactly in the style of a particular journal, and some editors reject papers on this basis. When we did a pilot with a few journals, explicitly mentioning that articles could be submitted as a single PDF, and that specific formatting requirements or reference styles were no longer needed, the response from authors was very positive, and the project was indeed considered a novelty. So while this initiative is nothing earth shattering, it is still new to many journals, and for authors it is perceived as a significant help. Do let me know if you have any further concerns!" It is, of course, an editor's personal service to authors to standardize the form of references – but it can be done without too much additional efforts during the final copy-editing of a paper. On the other hand, it has advantages to be not too permissive: To my experience, sloppiness in presentation of data and sloppiness neglecting appropriate care for exactly listing references, are often related with each other (and some conclusion can be drawn from such sloppiness in formal aspects upon the quality of the presented data). 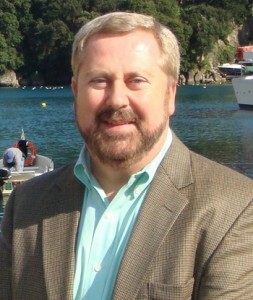 It is also a matter of education to exactness of master and ph.d. students, to urge them to take care also for formally correct citation of references (first of all a duty of the supervisors): Even if (in particular young) authors feel bored when being admonished to spend time for such things – also care for such formalities is part of the quality of research of scientists! Thus, it is meaningful to prescribe certain forms for citing references in Instructions for Authors. However, editors should be broadminded when coming across the one or the other deviation from the prescribed form in reference lists. Usually it is obvious, whether or not deviation from the norm occurs by chance here and there, or a list of references is compiled mechanically simply by copy-and-paste from a data base. Publication of a scientific paper is not a daily routine, and authors should demonstrate to be conscious about this fact by producing a paper in the peculiar form that is followed by the journal whereto a manuscript shall be sent! I would not be in favour to let everybody just make any format they like for submission. The point is that any format will take time. Time is lost because of a rejection and then to have to reformat for another journal. Indeed that is lost time. In my view a quality journal and a quality publisher should ask for quality submissions. To solve the problem it would be better to have one and the same submission format for all Elsevier journals. After a paper is accepted it can be formatted for the journal style. It will keep submissions within the family! I found this fantastic. As Editor, reviewer and author, I spent a lot of time requesting authors to follow the pattern of my Journal (Journal of Environmental Chemical Engineering). But if the paper is reject, and the authors want to resubmit it for another journal, he/she has to reformat all the paper again. I think for evaluation of the merits of the paper, it does not need, the author place in a right format. If the paper is accepted, the author place the paper in the right format as requested by the Journal.